A new test promises to fan the flames of ethical debate surrounding designer babies. 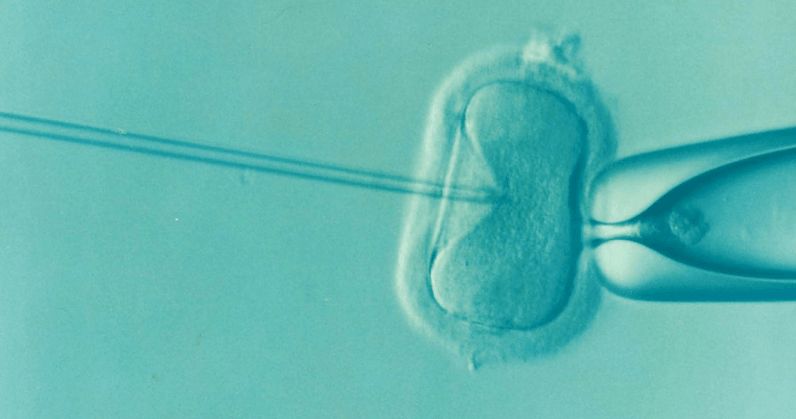 For the first time, couples undergoing in vitro fertilization (IVF) could soon be able to screen a respective embryo for complex traits, like low intelligence and disease risk. For now, Genomic Prediction, the firm that developed the new method of testing, says it will only offer the ability to identify embryos deemed likely to have a “mental disability.” The same method used to test for mental disabilities, like Down and Patau syndromes, however, could one day be used to identify those embryos with the greatest probability of having a high IQ. In Vitro Fertilization works by extracting eggs and a sperm sample and then manually combining them in a laboratory. The egg, once fertilized, becomes an embryo that’s then transferred to the uterus of the mother or a surrogate. As part of the process, specialists often harvest as many as 30 eggs, of which maybe a third produce high enough quality embryos for implantation. Of these embryos, doctors will choose two, or sometimes three to transfer to the uterus. These embryos, which could account for ten or more fertilized eggs, allow Genomic Prediction co-founder Stephen Hsu and his colleagues to assess the embryos for genetic risk. Known as polygenic scoring, or genetic risk score, the test offers a way to screen out embryos at risk of certain medical conditions. The scoring system, though, is controversial. Currently, it’s not accurate enough to predict things like IQ for each embryo. Instead, researchers attempt to group similar embryos and map the outliers, giving parents the option to avoid those with a greater risk for IQ that’s significantly lower than the others. For the time being, Hsu and Genomic Prediction have committed to not screening for high IQ, citing ethical concerns. Controversy aside, the test isn’t necessarily the key to creating the perfect baby. While geneticists agree on the validity of polygenic scoring, as a science, few see it as cause for wide-spread concern. The reasons cited vary, but most often relate to the relatively small number of embryos to assess and the unlikeliness of significant variation in these embryos due to both sperm and egg coming from the same pair of biological parents. In some places, like the UK, screening for polygenic conditions is banned. In the US, however, there exist no guidelines for this kind of testing. Genomic Prediction is currently using the lack of regulation to its advantage, talking with several US-based IVF clinics about providing its test to patients.